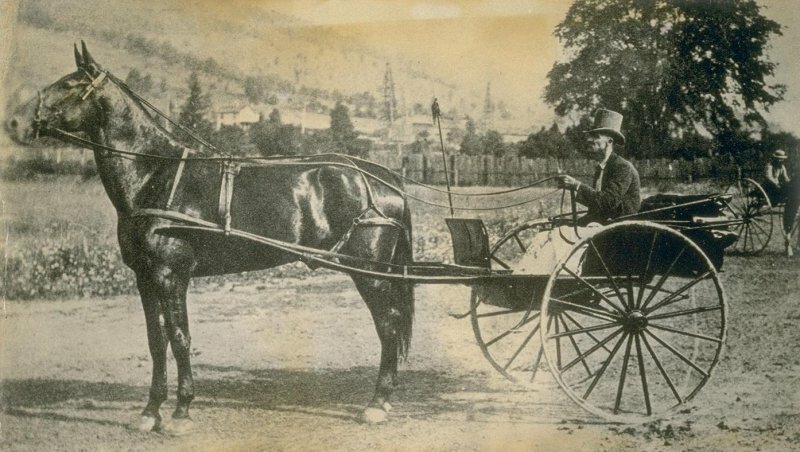 Training or Road Cart - 1800’s onward. Used for fast easy transportation of a single passenger and small loads. Also used to train horses for wagon pulling. 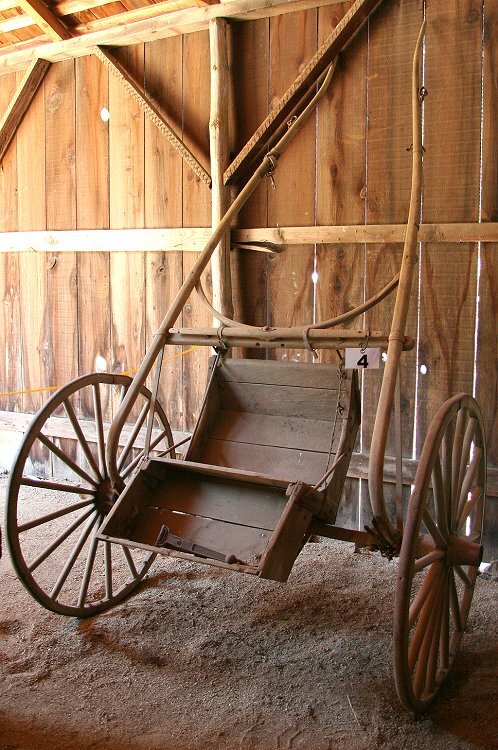 This wagon belonged to Joseph Wood, a teamster from the nearby town of Oregon House, and was donated to California State Parks in 1965 by his daughter upon his death. A single horse was hitched between "shafts" attached directly to the axle. The cushioned seat which hinged over the luggage/utility box is missing. The wagon would have looked similar to this one in service, except the wagon here had leaf springs between the body and axle.